Con una corta pero impactante carrera, Bad Bunny ha tenido un éxito colosal, donde su música no solo es escuchada en su natal Puerto Rico ni en Latinoamérica, sino también por todos los Estados Unidos y Europa. Actualmente su marca Bad Bunny cuenta con más de medio billón de reproducciones en Youtube y en las otras plataformas digitales tales como Spotify, Apple Music, Tidal y Pandora, lo que lo cataloga como uno de los artistas de género urbano de primera y uno de los pioneros del Trap Latino. Benito Antonio Martínez Ocasio, better known as "Bad Bunny," is a young singer-songwriter of urban music, most recognized in the subgenre of the Latin Trap. Originally from Puerto Rico, this talented artist has been surrounded by music since he was born, which led him to have a passion for it from an early age. With a short but impressive career, Bad Bunny has had a colossal success, where his music is not only heard in his native Puerto Rico or in Latin America, but also throughout the United States and Europe. 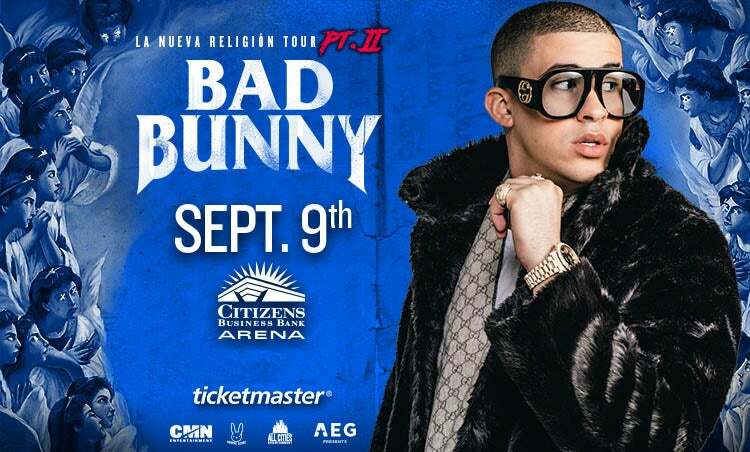 Currently, his Bad Bunny brand has more than half a billion views on YouTube and other digital platforms such as Spotify, Apple Music, Tidal and Pandora, which makes him one of the first urban genre artists and one of the best pioneers of the Latin Trap.